I was using a build with a Strix X99 motherboard and an i7-6800k. Long story short, the processor died. I believe the motherboard did the killing. The Asus rep who posts here says it is user error. Lots of users seem to be having this error. But that is another story for another day. I've added a few pics of the setup while troubleshooting. I switched to an MSI Pro Gaming Carbon. It seems somewhat less than the Asus board. You get less things. It hasn't killed a processor yet. But lets face it. You only buy this board for the RGB back-lit dragon. I also upgraded the processor to an i7-6850k and added an additional 32GB of RAM. Do I need 64GB of RAM? Nope. The biggest upgrade might be the switch to hard tubing for the water loop. I thought it was going to be a fun project for a Saturday afternoon. Not so much. It was pretty frustrating. Eventually I ended up with something I could live with. Mostly, I just looked at the GTX 1080s sitting on the kitchen counter and wanted to get back to using them. Rather than repeatedly burning myself on a heatgun and re-doing the same tubing bends over and over. The Define S claims to fit a 420mm rad in the top. While the radiator does technically fit, fitting fans and running tubing was beyond my patience and ability. I'm satisfied with the case though. It replaces the monolithic Corsair 760t I had been using. The fittings, tubing and reservoir are from Primochill. They all worked great. I had some issues with the reservoir/pump but primochill offered some advice. So no problems there. It's all working great. The pump is from Swiftech. Excuse the poor desktop cable management. I've not managed it yet. Some people care about how their desk looks. I'd rather spend my time killing more drowners. I've added a gratuitous photo of the dog. He needed to know what the heat gun noise was. I hear the RGB dog has a high TDP. I'll stick with the current model. yeah, they short out awkwardly sometimes too. I'd go with the standard one as well. True. But there are big performance gains if you overclock. I overclocked my dog by raising the core voltage to 1.956V. He won't boot up now and gives me a POST beep code when I push the power button. Help? Oh, look... Another person with a bad experience using the Strix X99. I myself have had two of them die on me and I'm currently on my third. Thanks! The only good thing to come from owning the Asus board is that I found out that Intel has great costumer support. Well at least something came out of it haha. I had a somewhat similar experience but with the retailer I bought the motherboard from. 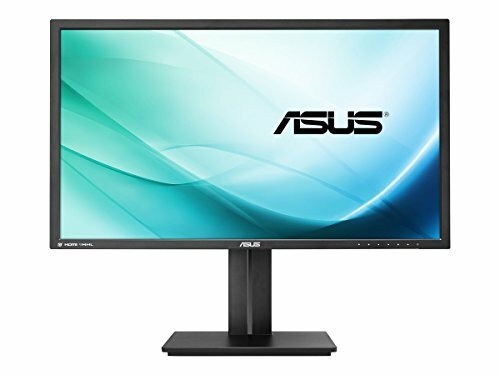 I decided not to try the Asus customer support since I haven't heard many good things about it. So when my first board died I called the retailer and they were nothing but helpful and understanding. Which continued for the other few times I contacted them when the second board died. I'm now using a second replacement and because of my bad experiences with the board I expressed my concerns and the retailer said if the third board dies as well then they'll refund and I can get a completely different board. Great service. +1 but Need some cable management outside the box dude !!! I applied a few zip ties this morning. I'm getting there. +1 dog, nice bends looks clean. That's a hell of an upgrade. Primochill sent Sourpatch Kids with their stuff. Turns out the dog likes candy. That's what he was really after. Yeah go figure right? Lol. Love the fluid you used in the loop. Looks really nice especially with the way you made the loop kinda small. Great job. WOW! 1+! This has to get featured! wow! its.... so.... beautyfull! The UV though! +1 for the dog. There is no such thing as a gratuitous picture of a dog! Great build! Nicely made custom loop! Well done! It's a Fractal Design Core 1000. You have built a very powerful platform with great aesthetics and invested a considerable sum in doing so. The following appears to be a common issue with many of the builds shown and not intended to target you specifically and it may help you to avoid such issues in future. It was pointed out to me over 20 years ago and I have grown to appreciate the advice ever since. I question the apparent lack of anti-static precautions in your pictures. In particular the lack of an anti-static mat/surface on which components are placed. If the chassis is not connected to ground via a power cable then static charges can easily build up which can damage components immediately or at any time in the future. I have assumed that you and most builders use a minimum of an anti-static wrist strap, it was just the lack of anti-static mat/surface that caught my attention. There is no logic in spending any amount on a system without a couple of $/£ on such protection. Everything you say is true. But I don't use anti static protection. And I don't really have a good excuse. About that, I have read and seen videos where they state what I do. They suggest that if you don't have any of those things, just discharge the electricity yourself. Touch something metal before you start working on your build. Touch it every so often just to release whatever static electricity may have been built up. My point is simply why take a risk. If you spend several hundred or even thousand $$$ or £££ on a build/upgrade, why not just order a wrist strap (and mat) for a few extra $/£. Touching something metal will only make a one time discharge if the metal is grounded, as soon as you move again your clothing may soon bring you back to where you were before. 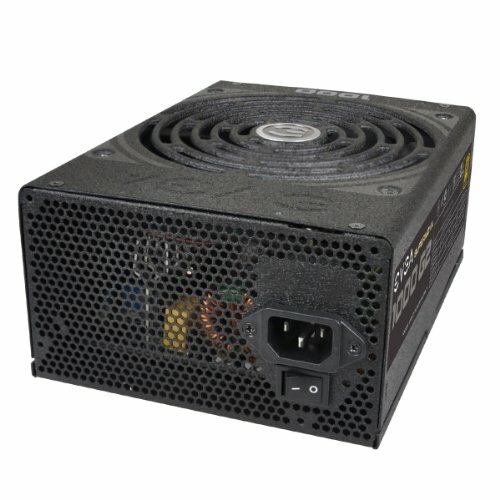 Looking at many of the builds on YouTube, it appears common to only install the power supply after installing the motherboard and CPU. Not only will the case not be grounded, but there is always a risk that you may drop the power supply on the motherboard. All I'm saying is that with a little bit of additional planning you can eliminate most of the risk. Everything that I mentioned, I've seen happen in real life and I'm not faultless myself. I enjoy looking at all the builds on here and it is clear that the vast majority take a great deal of pride in the systems. I just want to raise a few important issues that may one day mean that your builds stay free from static related damage. Of course. I completely understand what you're saying and why. I guess having it happen to you will make you feel way more strongly about this than someone who has never experienced it. Taken myself for example, I've been messing with computer since the early 2000s. I've built a bunch of system since then and never had it happen. When I first started, I had never even heard of the whole discharge as it referred to computers. So for me, doing the extra step of discharging on metals around me was my safety precaution once I was aware. As far as the mat is concerned, if you build (as I do) on the anti static box that your board came in, that should suffice no ? According to everything I've seen, building on that negates some of the risk for issues as far as discharge. Most people will never buy the mat because they can use the box. A wrist strap may benefit them even if just to comfort their minds though. Thanks! It splits at the first GPU. Some say it will cause one of the cards to run a little warmer. But one always seems to anyways. I did it purely because I like the way it looks and that was an easy bend to do. I await the day when you call the 6850k and the 2 1080s "spare parts"
"You still run a 6850k? That's like running a first-gen i3 when your 6850k was new." 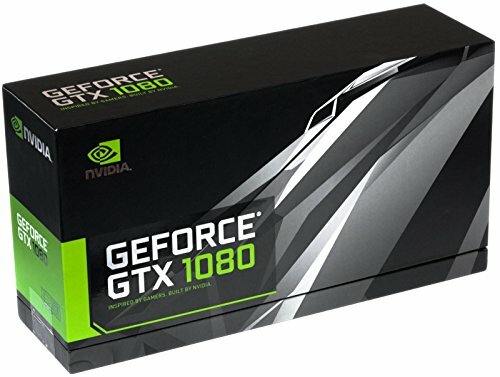 "GTX 1080? That's like the GT 710-of-it's-time equivalent." Grats on your featured spotlight! Thanks! I wish I had spent some time tidying things up and taking some better pictures now. Looks sick! Very cool man! Custom loop is ON POINT! I like the bends between the GPU's. Don't see that so often. How are the Coctua fans? Are they loud? What kind of "blacklight" are u using? Cable management can be improved easily :) but I saw you buyed some zip ties. Thanks! The 2000RPM Noctuas aren't too loud. I'm using speakers now instead of headphones and I don't find the noise to be an issue. I'm using Cablemods UV LED strips. Please show more pictures of the PC turned on. beautiful :) how hot do those 1080s get while gaming? The top card sits somewhere in the low to mid 50s and the bottom card is usually 6-8 degrees less. It depends on what I'm doing and how much heat the CPU is contributing to the loop. Honestly, I absolutely LOVE the build and all you need to make the setup as a whole 10x better is to at least try cleaning up those cables a bit. I'm nowhere near surprised this got featured, it's a freaking amazing build man! Thanks! I certainly didn't think people would be so bothered by the cables. I'll see if I can get it cleaned up a bit later today. Nice liquid loop man! also that is a pretty cool desk where did you get that? Thanks! A friend built it. Traded for a computer. He is moving and needed his extra materials gone. 3 questions- Why no HDD, why not an NVMe M.2, and why FE 1080s? No HDD because I don't need one. There is an m.2 drive. It's in the part list and probably at least one picture. And the FE 1080s were the only 1080s in stock when i was ordering. 40lbs. Idles around 38C. The included processor is an older model. But it's reliable. Love the build man. The desk is awesome, where did you buy it at if I may ask? Thanks! I got a friend to build it for me. I couldn't actually find one that would work for me locally. Gotta love those CTR reservoirs, great build man, I'm a huge fan of the 180 degree bends you did between the GPU's, wayy cooler looking than the standard EK terminal bridges. Let's be real here, the dog is the real centerpiece of the build :). Aha in all seriousness, great job man, there are some unique aspects in here that I'm a fan of. Thanks. That's no joke about the dog. I'm pretty shameless. I had a Koolance bridge for my last sli setup. I thought if I was going to take the time to bend some tube, I'd bend all the tube. The lighting around the desk is just a cheap 15 foot strip I found on amazon. The lighting in the case is Cablemods UV led strips. Im trying to buy a msi x99 pro gaming motherboard and an intel 6850k, do i have to upgrade the bios on the mobo? No. Everything worked out of the box. Yes. XSPC waterblocks on the GPUs. It's not too difficult to do. Bending the hard tubing can be a little frustrating if you decide to go that way. It just takes a little practice. Gorgeous build, the PUP was the icing! I am wondering where you got that table from, or did you make it yourself? Thanks! A friend made it for me. I traded a computer for it. I only +1 because the big blue funnel made me laugh for some reason. your 360 rad, is that a 60mm thick one? i'm looking at using this case to show off a build of my own but my 360 is 60mm thick and i am debating if i should just go with a full tower instead, but if it is 60mm then im safe! The 360 is 45mm thick. The front 280 is 60mm. A 360x60mm should fit fine on the front of the case but you might run into clearance issues with it on the top. appreciate it! i'll likely just get a bigger case just to be sure! your budget is nice unlike mine, nice PC though! It's a good build but why waste so much money? A 1000 dollar PC would do everything you need. It makes no sense unles your like a multi-millionaire. Lol. What? I think life would be boring if everyone stopped once they acquired only what they absolutely needed. Or maybe I'm a mulit-millionaire. Whatever. Bruh! That's the great mystery! It's not so bad. The fans never spin much more than idle. I can game without headphones on now and I don't even notice the fan noise. One upgrade I didn't mention was the powersupply. 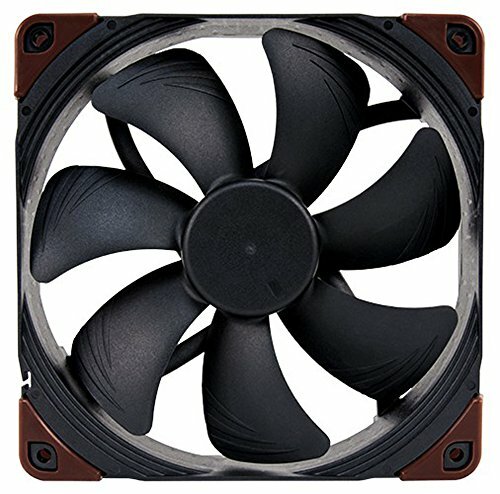 The fan shuts off under low load. It never needs to come on. My old power supply fan was far louder than the Noctuas. Thanks. I take everything apart for cleaning periodically. So dust buildup isn't a huge issue for me. That thick Alphacool radiator in the front is what I had and it has worked out well for me for a long time. I might switch it out so I can fit fans on the inside. The front mounted fans are choked a bit their positioning. My friend built the desk for me. It's probably the best addition to my setup. It's nice having all this room for activities. I did some work on the cables. I think most people are just upvoting the dog. Regardless, I post here because I enjoy computers. And I think a lot of other people do to. I'm not chasing your upvote.